Immerse in the sublime beauty of Mekong & its river life. 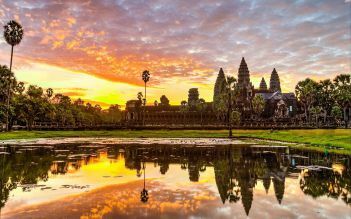 From Saigon’s modern bustle to the calm waters of Tonle Sap Lake and into the ancient Khmer Kingdom; explore South Vietnam and Cambodia on a tour that takes you along the meandering Mekong River all the way to Siem Reap – the home town of Angkor Wat. Welcome to Vietnam’s modern metropolis: Saigon then enjoy an orientation tour through Ho Chi Minh City’s bustling streets en route to the hotel. Have lunch at a downtown restaurant of your choosing then set out on a guided city tour. 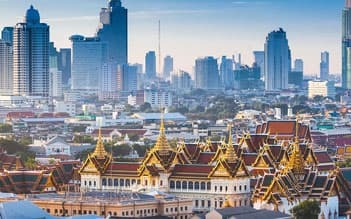 In the afternoon you will visit such sites as the Reunification Palace, the War Remnants Museum, Notre Dame Cathedral, the Old Post Office and Ben Thanh Market. Enjoy the rest of the day at your leisure. Today you travel outside of Saigon to visit the Cu Chi Tunnels. The Cu Chi Tunnels are an underground labyrinth of passageways, used by the Viet Cong during the Vietnam War (or “American War” as it’s referred to here) as protection against American air raids. Those inclined are invited to crawl through selections of the tunnels to better understand what life was like for the Vietnamese soldiers during wartime. Next you will visit the beautiful Cao Dai Temple in Tay Ninh and partake in the noontime prayer service. 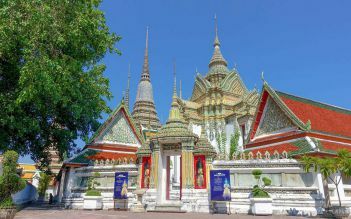 This large and colorful compound is home to the hybrid religion founded in the 1920s: Caodaism, which combines elements of Buddhism, Confucianism, Hinduism, Christianity and Islam in order to promote peace. 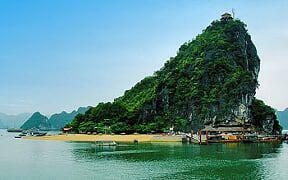 Have lunch in Tay Ninh and return to Saigon in the late afternoon. After breakfast, you leave Saigon and travel to the Mekong River Delta. Arrive in Cai Be at around 11:00 AM and start your tour of the delta with a private cruise to visit Cai Be floating market, passing by a beautiful cathedral. Proceed to local cottage industries, home factories to see how rice paste, rice cookies and coconut candies are made, along with the longan fruit drying process. Sail along some of the Mekong’s innumerable branches and creeks and visit local orchards and an ancient house over 170 years old built by the French. Then cross Tien Giang River, one of the two large “arms” of the Mekong, by motorized boat to visit some fluvial islands and explore the countryside by bicycle. Your driver will be waiting for you on the other side of the river to take you on a 45 minute journey to the largest city in the Mekong: Can Tho, a buzzing town with a lively waterfront and a colorful mix of narrow back streets that make for some rewarding exploration. Rest of the day, you are at leisure. 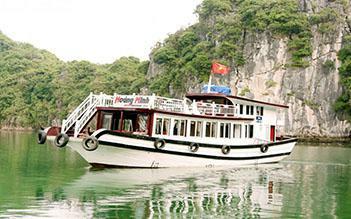 Wake early and leave the hotel to visit the famous Cai Rang floating market by motor boat. Experience the daily life of the Mekong River Delta as vendors from around the region gather to sell fresh fruits, local delicacies and handmade goods. Proceed your discovery of the region with a tour of the cottage industries to see people making coconut candies and rice paper. 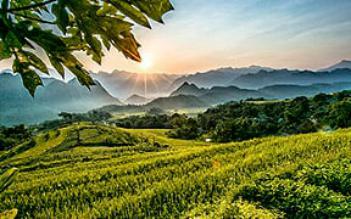 Continue to Chau Doc where a sunset journey up Sam Mountain provides sweeping views of the surrounding countryside. You also visit Lady Xu and Thoai Ngoc Hau Temple if time permits. 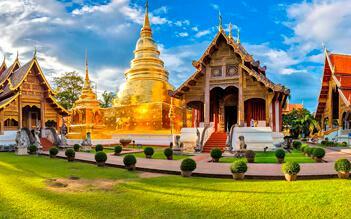 After breakfast, check-out the hotel then travel by speedboat up the Mekong to Cambodia’s capital: Phnom Penh. The total trip takes about four and a half hours (including visa formalities). Visas are easily obtained at the border between Vietnam and Cambodia and cost $32 (including the processing fee). Your guide will meet you at the dock in Phnom Penh and take you to the hotel. Despite its recent turbulent history, Phnom Penh’s wide tree-lined boulevards and faded colonial mansions hold an undeniable charm. After lunch at a downtown restaurant, take a leisurely tour to visit the Russian Market and try out your best bargaining skills. Enjoy lunch at a downtown restaurant, and then conclude the day with a cyclo ride down Sihanouk Boulevard to visit the National Museum and the Royal Palace – home to the royal family and the opulent Silver Pagoda. In the late afternoon, drive to the Angkor Archeological Complex to watch the sunset from Phnom Krohm Mountain, gilding the surrounding temple-dotted jungle in golden light. 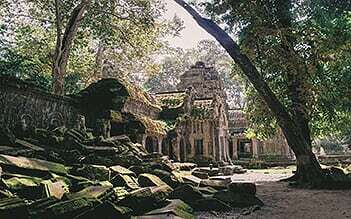 Enjoy an entire day dedicated to discover the mysterious Angkor temples. Wake before dawn and take a tuk-tuk ride to visit the jungle-entwined temple, Ta Prohm. Sunrise is one of the most beautiful and haunting times to visit the temples, whose ancient sandstone blocks are painted orange by the early morning rays. Return to the hotel for breakfast then set back out on a full day temple tour. You will start with a visit to the magnificent Angkor Wat – the largest Khmer temple and finest example of Angkorian art and architecture. Proceed to Angkor Thom’s imposing South Gate, topped with the four serenely smiling faces of Avalokiteshvara. Next, visit Bayon Temple, the Elephant Terrace and the Terrace of the Leper King. Return to your hotel in the late afternoon and spend rest of the day at leisure. Nearly Perfect! What can you say? All went well, good company, good guide and crew etc. And if you're wondering why it's not 10/10; it's because I virtually never give a 10!